When we study for our exams, we often use strategies that don’t work, simply because we don’t know of better ways to cement the information in our brains. This article shows you four ways you can retain what you’ve learned beyond a few hours. Did you know that most people do one of two things when it comes to revision – even though neither works! Copying, word for word the content of your manual. Some people write down every word for fear of missing something important. Oh dear! 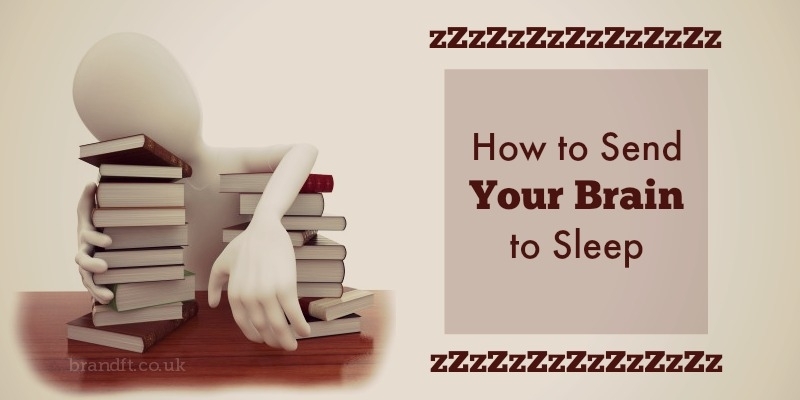 This is a sure-fire way to send your brain to sleep with boredom! Reading, and rereading the course manual. If you’ve ever ‘woken up’, realising you haven’t taken in a single word of the last paragraph you’ve just read, and so you’ve read it again, and again, only to discover the same thing keeps happening, then you already know that this method sends your brain to sleep. Both of these approaches are counter-productive. And yet, most people adopt one or the other strategy because it’s all they know, so even though it doesn’t work, they still keep doing it. Because of the way the brain works, you’ve got to pay attention to the 3 Keys to Learning – that is – if you want to retain what you’ve learned beyond a few hours. Key #1 means spending enough time with the information. This means getting involved with the information, actively manipulating it. And that simply isn’t happening if you copy mindlessly or simply read your manual. For example, you can read a section of your course manual out loud, or read aloud the notes that you’ve made about it. You can act out the information you’re learning. Are you thinking that the rather dry nature of what you’re learning does not lend itself naturally to acting? Well, if you think about it, the information you’re learning is relevant to real-life situations, and information you deliver to your clients is pertinent to their real-life scenarios and challenges. So you can indeed put yourself in their shoes when revising. Pretend that you’re delivering the information to them while you’re learning it – and be active and involved when you’re revising. Get interested in what you’re learning. Focus on how important this information is to you and to your clients. Think about genuine situations that you are advising on. Think about the difference you will be making to yourself and to others by learning and understanding this material. Finally – remember – you need to spend only 20% of your time reading your course manual and a full 80% of your time manipulating the information. This will happen automatically when you make your revision notes according to the Second Key to Learning: Making Brain-Friendly notes. 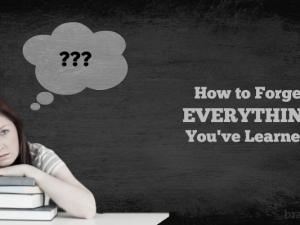 How to Forget Everything You’ve Learned!